Rangers Under 14s finally bowed out of the BARLA Yorkshire Cup losing out to Lock Lane 16-32 in the semi final. Try scorers for Stanley were Nigel Dangare, Harry Crabtree and Edward Wilcock. The Man of the Match was Owen Trout. In the other semi final, West Hull narrowly beat East Hull 20-16 after extra time. The final between Lock Lane and West Hull will be held on Sunday 14th December. Stanley Rangers Under 14s - playing in the Under 15s category - have reached the semi-final of the BARLA Yorkshire Cup by beating Shaw Cross Sharks in a closely fought match 16-14. The other semi-final features rivals East Hull against West Hull. The final is to be played on either the 6th or 7th of December. Round Two of the BARLA Yorkshire Youth Cup saw wins and losses for our teams. The Under 13s lost to Shaw Cross Sharks 4-16; the Under 14s lost to Siddal 0-44; the Under 15s had a good win beating Cottingham Tigers 42-10 and the Under 16s were beaten 10-38 by Oulton Invaders. The Under 15s will now play Shaw Cross away on 16 November in the quarter final. The 2014-2015 Wakefield and District ARL Physiowise Cup begins this month with the first round games on Wednesday November 19th. Crofton v Wakefield City will play at Belle Vue, kick off 7.30pm and on Wednesday November 26th Sharlston A play Upton, 7.30pm kick off. The final will be played on Wednesday December 10th. The Under 12s team have new training for the winter months. They are doing boxercise for 5 weeks on a Tuesday at British Combat Academy & Indoor training at the Cathedral Academy on Thursdays up to Christmas. They then stop training on 11th December and start pre-season in January (Saturday mornings). After the weekend's matches in Round One of the BARLA Yorkshire Youth Cups, all Stanley Rangers junior teams won their games. The Under 15s, now playing as the Under 16s in the cup beat Brighouse Rangers 18-8; the Under 14s, playing in the Under 15s cup, had a big win against the Batley Boys 52-14; the Under 13s, playing as the Under 14s, won at Kippax Welfare 62-6 and the Under 12s, playing in the Under 13s section, beat Fryston 26-18. The draw for the second round has now been made and the Under 13s will be at home to Shaw Cross; the Under 14s are at home to Siddal; the Under 15s are at home to Cottingham Tigers and the Under 16s will be at home to either Oulton Invaders or Siddal. The games are to be played on the 9th November. 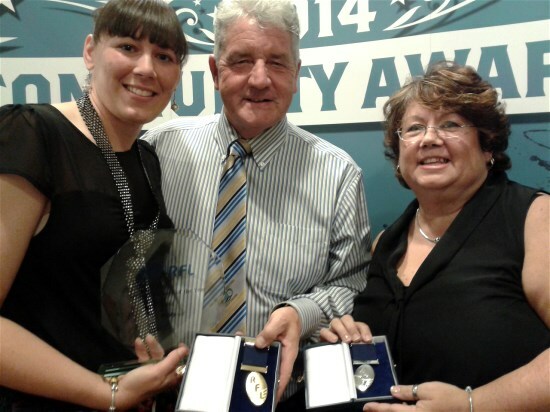 Congratulations to Stanley Rangers coach Emma King who was awarded the Children's Coach of the Year award by the RFL. Emma is the coach for our youngest teams - the Under 8s and Under 7s - and was previously awarded the Young Volunteer of the Year for the Wakefield Service area in 2007. Latest news is that Emma has been put forward for the Children's Coach of the Year in the 2014 UK Coaching Awards, supported by Gillette. The finalists for this award are Emma King, judo coaches Nicole and Joe Nunn, and Rugby Union coach Anastacia Long. The Awards take place at the City Chambers in Glasgow on 19 November. We are very proud of Emma's achievements and wish her luck in November. The draw has now been made for the Yorkshire Junior Cup. In Round One, the Under 16s wil be away to Brighouse Rangers; the Under 15s are also away to Batley Boys; the Under 14s will be travellling to Kippax Welfare and the Under 13s are at home to Fryston. The games are to be played on Sunday 12th November. The Yorkshire Junior League season has now closed for the winter and will resume in the spring. The teams will be involved in the BARLA Cup in November. Ex-Stanley Rangers player Max Jowitt has just signed a four year deal with Wakefield Trinity Wildcats to the end of 2018. Max has represented England Youth and was named as part of the England Academy squad at the start of the season. He made his first team debut with Wakefield at St Helens in August. -Coach James Webster said that Max has "massive potential" - congratulations Max! Our Under 9s team have now got a new coach - Ben Nicholson - and are looking for new players. If you are under 9 years old please contact stanleyrangers@aol.com for more information on training and joining the team. Come along and be part of Stanley Rangers! The Open Age team will be holding their Presentation Evening on Friday 14th November. Anyone planning to attend is asked to contact Barbara Rawlinson to help with numbers. Now that the junior season has resumed it's time to see how our boys are progressing. Starting with our younger sides, the Under 12s, under coach Chris Horner, are doing well lying 2nd from top in Division Five; the Under 13s are 4th from the top of Division One with their coach Iain Bowie; Lee Trout is helping the Under 14s to be 3rd from the top in Division Two; Danny Duce's Under 15s are going great guns being top of Division Two and the new Under 17s team are moving up, being 8th in the Premier Division. Well done to all the teams who are working hard and training well with their coaches as autumn sets in. Stanley Rangers last match of the season took them over the Pennines to Oldham St Annes but in this middle-of-the-table tussle, it was the hosts who kept the two points with a 40-24 win. At half time it was 16-6 to Oldham but the second half saw Oldham move away and push the lead ahead. Rangers points came from two tries and two goals by Danny Grice with tries also by Jamie Bell, Paul Hughes and Kyle Sampson. This result keeps Stanley in 8th place in Division Two. Top two teams Kells and Elland have secured automatic promotion into Divsion One, whilst bottom two Stanningley and Waterhead go down to Division Three. Autumn fixtures have started up for our junior teams from the Under 17s right down to the Under 7s. The U17s had a good 22-18 win over Upton; the U15s beat Upton 44-0; the U14s won at Brighouse Rangers 16-0 and the U13s lost out at West Bowling 8-16. All the Friday night rugby league matches on Sky are shown at the clubhouse. They kick off at 8pm and this is a great opportunity to enjoy some cracking rugby in a friendly and welcoming atmosphere. Stanley Rangers are seeking a coach for the emerging Under 9s coach for 2015 season. The applicants will be required to provide two references and will be required to have completed a DBS form and to complete a coaching badge. The coach will find an enthusiastic and energetic team to train in a long established club. All interested applicants should please email stanleyrangers@aol.com and the club chairman will then be in touch. In a closely-fought game at Lee Moor, Stanley Rangers beat Ovenden 17-14 thanks to a 77 minute try by Jamie Bell. At half time, Stanley were ahead 12-6 but the visitors levelled the score and then it was all pressure in the final moments. This win keeps Stanley fifth from bottom and should ensure survival in Division Two. The final match of the season will be on Saturday 13th September across the Pennines at Oldham St Annes. Stanley Rangers had a short trip to neighbours Castlford Panthers but did not come away with the two points, losing 12-20. This keeps Stanley in 8th position in the table. Tries were scored by Joel Marsh, Carl Hughes and Charles Ellis and Carl Hughes was named Conference Man of the Match. This weekend the 1st team are at home to Ovenden, currently in 5th place. This should be a cracking game. Kick off is at 2.30pm and your support is greatly appreciated. After a two-week break it is back to business for the 1st team as they travel to close neighbours Castleford Panthers on Saturday 30th August. Congratulations to Adam Milner, former Stanley Rangers player, who is named in the team line-up for Castleford Tigers in tomorrow's Challenge Cup Final. Adam is 22 - so here's a question - how many other Stanley Rangers players have gone on to play in a Challenge Cup Final? Email your answers to stanleyrangers@aol.com. 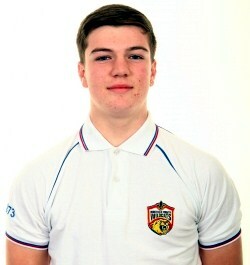 Also in the news this week are Max Jowitt who made his first team debut for Wakefield Trinity Wildcats age 17 and was awarded Coaches Player of the Year for the U19 Academ yand to Liam Senior who was awarded Coaches Player of the Year and Players Player of the Year for the Wildcat's U16s scholarship. This Saturday sees the all-Yorkshire Tetley's Challenge Cup Final at Wembley between Castleford Tigers and Leeds Rhinos, kick off 3pm. There will be no fixtures for either the 1st team or the A team. The next game for the 1st team will be on August 30th away at Castleford Panthers. Close rivals Leigh East proved too strong for Rangers, beating them 42-8 on Saturday. Rangers' points came from tries by Jamie Bell and Daniel Asquith. The A team's fixture against Huddersfield YMCA was postponed. This weekend sees a break for both teams as there are no fixtures. This weekend - the 9th August - the 1st team will be travelling away to Leigh East and the A team will be at home to Huddersfield YMCA. Kick off at Lee Moor is at 2.30pm so come along and cheer on our lads! WELL DONE TO THE UNDER 9s! 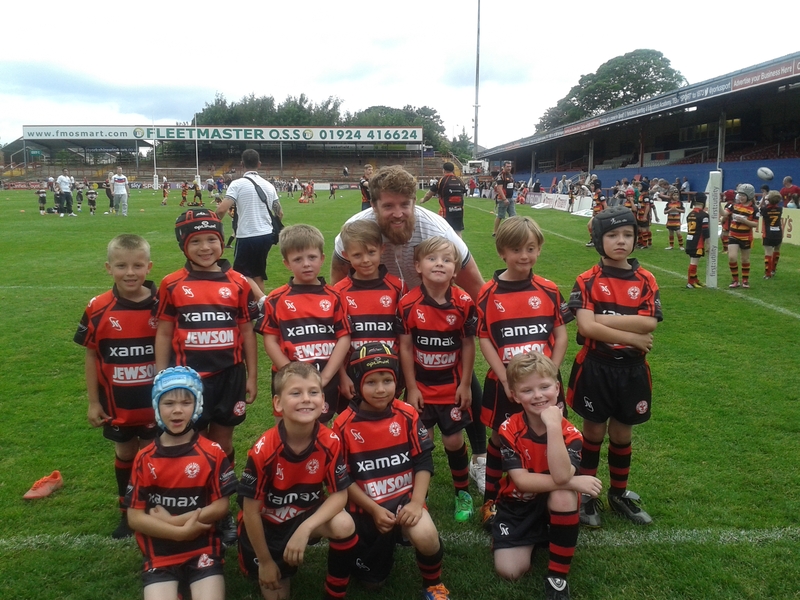 Stanley Rangers Under 9s competed in a rugby festival at Keighley Albion at the end of last month. The team came up against very strong opposition and some great performances from the team successfully secured them as festival winners. "In 1962 the Yorkshire Amateur Rugby League Commission took the unprecedented step of rearranging a Yorkshire Cup semi-final which clashed with his wedding. My dad told the Evening News paper before the fixture was rearranged that "whatever happens I shall be turning out for the team". Geoff skippered the team to a 6-0 victory against Hunslet." On the website History page Geoff Bateman features in two photographs taken of Stanley Rangers in the 1960s. Not only is he featured in the team photo but also in the photo published in the Wakefield Express showing the sets of brothers playing for Stanley Rangers. Five sets of brothers played for Stanley Rangers in the 1960s under coach Laurie Gant. They were Dave and Steve Way, Les and Brian Starkey, Geoff and Ronnie Bateman, Alan and Kenny Baker and Vic and Terry Sellers. The club sends their sympathy to Andy and all the family of Geoff at this sad time. In a local derby clash on Wednesday night it was visitors Normanton Knights A who went away victors with a 48-24 wn over Stanley Rangers A team. Stanley's points came from a hat trick from Grimmet with a further try by Pritchard.Higgs kicked three goals and Grimmett a further one. 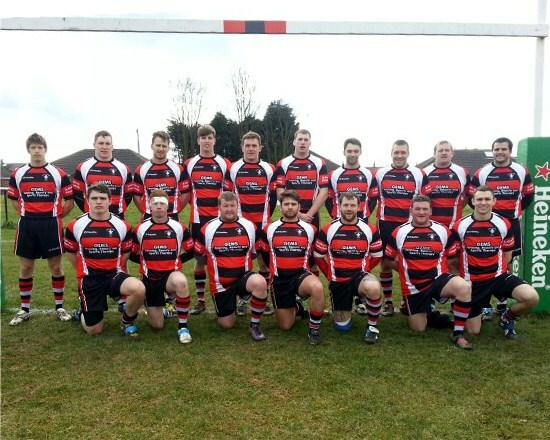 Pilkington Recs kept up their third position in Division Two with a 36-4 win over Stanley at the weekend. Stanley's Craig Williamson crossed the line in the closing seconds to give the home side their points but a big two tiry and six goals performance from Rec's Danny Lynch contributed to the visitors win. This coming weekend - 2nd August - there are no fixtures owing to the quarter finals of the Conference Challenge Trophy. Please note that the A team will be playing this Wednesday at home against Normanton Knights A, kick off 7pm. The Yorkshire Junior League has closed down for the school holidays. Fixtures will resume in early September. Rangers felt the full force of Kell's push to the First Division when they were beaten 70-0 at the Cumbrian hosts. Kells have been notching up an average of 42 points per game and Kells' Carl Sice scored four of twelve tries, whilst Ross Gainford scored one try and kicked all seven conversions. This weekend - 26th July - Stanley Rangers are at home to Pilkington Recs, currently third in the table. The A team beat Castleford Panthers A 36-10 in the Yorkshire Men's league which moves them up to 7th place in Group 2. In a high-scoring match Halifax way, it was the home side Ovenden who just beat Stanley 44-40. Stanley's points were scored with two apiece for brothers Paul and Carl Hughes and tries from James Senkiw, Charlie Ellis, Danny Grice and Liam Crawley, along with four goals kicked by Man of the Match Danny Grice. This weekend - 12th July - the 1st team are again away at Kells. The A team travelled to the east coast to play at Scarborough Pirates A. Unfortunately the match had to be abandoned owing to an injury to one of the Scarborough players. The team and all at Stanley Rangers would like to send their regards to him and best wishes for his recovery. The A team will be at home to Castleford Panthers. On Saturday a Family Fun Day was held at the club to raise funds for the respiratory unit at the Leeds General Infirmary where Logan Marsh who is 4 years old and trains with the Under 6s spends much of his time. The whole afternoon was a great success and raised a magnificent £1000. Louise Marsh and friends are also taking part in the Tough Mudder event at Broughton Hall, Skipton on the 2nd August which is a 12 mile course through rugged conditions. More details will be available shortly. A weekend off for the 1st team due to the second round of the NCL Challenge Trophy meant that it was the A team who had a home fixture against York Locomotive. Locomotive, currently third in the table, went away the winners by 38-28. This weekend - 12th July - the 1st team are away at Ovenden and the A team are also away travelling to Scarborough Pirates A.
Stanley had their second consecutve win when they beat visitors Askam 38-22. Rangers were leading 20-6 at half time and kept their lead ahead to finish with the two points. Stanley's tries came from a brace by Carl Hughes, with further tries by Richard Cattley, Paul Hughes, James Senkiw, Mark Robinson, John Nunns and David Findlay along with five goals kicked by Danny Grice. This win keeps Stanley in sixth place in the table. There is no fixture this weekend as it is the 2nd round of the Conference Challenge Trophy. The A team travelled to Shaw Cross Sharks who are currently top of Group Two of the Yorkshire Men's League but were unable to beat them and lost 14-34. This weekend - 5th July - the A team are at home to York Locomotive. There will be a Family Fun Day at Stanley Rangers club house at 14:30-17:00pm on Sunday the 13th July. It's to raise funds for the respiratory unit at the Leeds General Infirmary where Logan Marsh who is 4 years old and trains with the Under 6s spends much of his time. There will be various stalls including various games stall, sweet stall, bag stall, branded sport stall, pampered chef, bric a brac, bottle tombola, mixed tombola, book stall and many more. Somebody from the Wakefield Trinity Wildcats are to make an appearance too! Fantastic raffle prizes on the day also,If anyone else is interested in hosting a stall please get in touch with Louise Marsh on 07533264281. 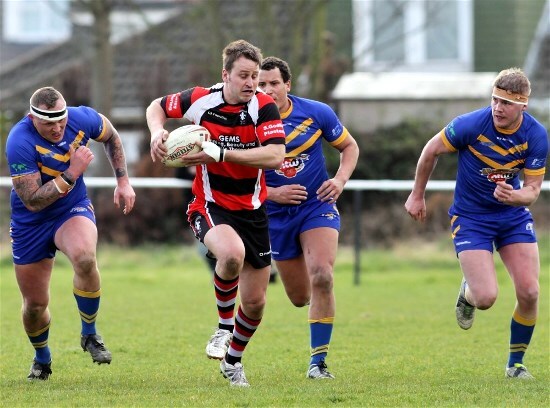 Stanley Rangers had a good win at the weekend when they beat Waterhead at home 34-28. Rangers were never behind after the eighteenth minute and won a closely-fought game with two tries from Carl Hughes and four-pointers from Liam Crawley, Oliver Wood, James Senkiw and Jack Shepherd, along with five Danny Grice goals. This win keeps Stanley in sixth place in the Division Two table. This coming weekend - 28th June - Rangers are again at home against Askam, currently tenth in the table. The A team travelled to Bradford Dudley Hill but were beaten 42-16. Stanley's tries came from Carney, Turner and Porter with goals kicked by Duce and Lord. This weekend (28th June) are away at top-of-the-table Shaw Cross Sharks. Stanley Rangers Under 14s took on West Hull Under 14s, a division higher than the team, in the Final of the YJL Challenge Cup at the Big Fellas Stadium on Sunday 22nd June. West Hull dominated the game but Stanley never gave in until the final whistle. At half time West Hull were leading 38-0 but Stanley Rangers hit back at the start of the second half with an unconverted try from Harry Crabtree with further points coming from a try by Edward Willcock, converted by Alfie Goddard. Rangers were not able to put more points past West Hull who finally finished the winners at 50-10. We want to congratulate the boys who have had a terrific season, winning the Wakefield Cup in May. In this middle-of-the-table clash it was the home side who took the two points when Bradford Dudley Hill beat Stanley Rangers 52-16 on Saturday 14th June. All Stanleys points were scored by Man of the Match James Senkiw. This weekend the team are at home to Waterhead, kick off 2.30pm. The A team were closely beaten by Heworth A 16-24 and are away this weekend at Bradford Dudley Hill A. Don't forget that this Sunday - 22nd June - our Under 14s are in a big match atmosphere, as they play in the Final of the Yorkshire ARL U14s Challenge Cup. The game is to be played at the Big Fellas Stadium, Featherstone Rovers. It has been decided that any games finishing level at full time will play 5 minutes each way. If still tied, the result will be determined by a "golden point" - first to score will be the winner. The Finals on Sunday s begin at 10.00 am with the Under 12s Challenge Cup - Shaw Cross Sharks v Hunslet Warriors; then at 11.00 am it is the Under 13s Final with East Leeds v Siddal; our Under 14s will take on West Hull U14s at 12.15pm. The match will be 25 minutes each way. Following ths will be the U15s, U16s and U17s finals. Why not go along for this feast of junior rugby league and support our Under 14s who have had a wonderful season winning the Wakefield Cup Final. On a stormy and wet Friday evening our Under 7s were one of five junior teams taking part in the pre-match events before the Wakefield Trinity Wildcats v London Broncos match. The junior teams involved were Stanley Rangers,Kippax Juniors, Shaw Cross Sharks, Thornhill Trojans and Eastmoor Juniors. Our boys also had the honour of being the match mascots. At half time there was due to be a full parade around the pitch but torrential rain in the first half and throughout the break meant that the boys did a circuit round the edge of the pitch. Well done to Emma and the team for doing so well in such challenging conditions. Visitors Stanningley went away with the two points when they beat Stanley Rangers 20-14. After a half time score of 4-10 to the visitors, Stanley pulled back but were just one try short of a draw. The Open Age A team who were due to play Normanton Knights A had their match postponed. This coming weekend - the 14th June - the 1st team will be travelling to Bradford Dudley Hill and the A team will be at home to Heworth A. The Wakefield ARL junior finals took place tonight at the Rapid Solutions Stadium, home of Wakefield Trinity Wildcats. The Under 15s faced Eastmoor Dragons U15s and won 24-20. After that match, the Under 16s comprehensively beat Upton U16s 64-6. Well done to both teams who are having such successful seasons. Fourteen junior teams from five amateur clubs have signed up to be part of the celebration of rugby league ahead of the Wildcats game with London Broncos on Friday 13th June (kick-off: 8pm). Eastmoor Dragons, Stanley Rangers, Thornhill Trojans, Shaw Cross Sharks and Dudley Hill will all be represented from age groups ranging from under 7′s to under 12′s, taking part in a pre-match rugby festival before the First Utility Super League meeting of the Wildcats and London beginning at 5pm. It all forms part of the celebration of rugby league in Wakefield event from 5pm that evening, of which the amateur rugby festival will play a significant part. Stanley Rangers Under 7s and Under 9s will represent the club and we wish them a very special evening. This weekend, the first team are at home to Stanningley, kick off 2.30pm whilst the A team are also at home to Normanton Knights A, kick off again at 2.30pm. WHAT A WIN FOR THE UNDER 16s! Stanley Rangers Under 16s won the BARLA Xamax National Cup Final against Skirlaugh Bulls Under 16s with the unbelievable score of 1-0. Played in continuous rain both sides played with strength and determination and were a credit to both their clubs. The pivotal moment of a pulsating game that got better as the seconds ticked by, was in injury time following a penalty with extra time beckoning at 0-0 when Rangers went down the slope and on the last tackle stand off Morgan Smith coolly drop goaled the winning point from twenty metres. 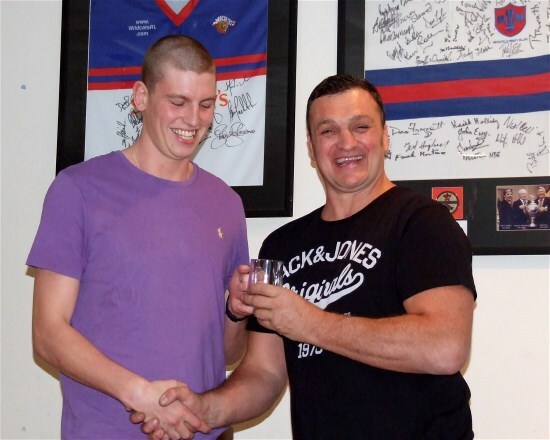 A full report can be read with thanks to Steve Manning the BARLA media manager (also on the BARLA website). The club send their congratulations to the coach, players and supporters for their hard work and dedication this season. Well done! The winners of the finals as well being crowned the best rugby league team in the country at their respective age groups, through BARLA’s sponsorship agreement with Xamax will have a playing kit manufactured exclusively for them at the company’s manufacturing facility. The Open Age teams had mixed results this weekend. The 1st team travelled to Elland but came away with a 0-28 result. The Conference Man of the Match was Stanley's Carl Hughes. The A team were at home to Scarborough Pirates A and had a resounding 52-6 win. This win moves them into third place in the Group 2 table after 3 games. This coming weekend - Saturday 31st May - both teams will be travelling away. The 1st team will be playing close neighbours and rivals Normanton Knights in Round One of the Challenge Trophy and the A team will be at Huddersfield YMCA. After last weekend's break in fixtures due to the Magic Weekend, there is a full list of fixtures for the teams for this week. The first team will be away at Elland whilst the A team host Scarborough Pirates. Our Under 16s will be in the BARLA National Cup Under 16s Final this Saturday - 24th May - when the junior finals take place. The matches are to be played at Mount Pleasant Stadium, Batley Bulldogs and the Under 16s face Skirlaugh U16s, kicking off at 1.30pm. The Under 16s have done tremendously well to reach the National Final and we wish them luck in the final. Congratulations to our Under 14s who won the Under 14s Wakefield Cup last night against Crigglestone All Blacks U14s 15-4. In a sporting game both sides were quoted as being " a credit to their clubs". Well done! The Under 14s continue their successful season with a place in the final of the Yorkshire Under 14s Challenge Cup, playing against West Hull u14s at Featherstone Rovers ground on June 22nd, kick off is at 12.15pm, playing 25 minutes each way. Both Stanley Rangers teams were in action at the weekend. The 1st team played against league leaders Kells and in an absorbing game lost out 16-28. Stanley's tries were scored by James Senkiw, Jamie Bell, Richard Cattley and John Nunns. Kell's player Ross Gainford proved the match winner scoring two tries and kicking five goals. This result puts Stanley in fifth place sharing 12 points in the league with Elland and Ovenden who are in third and fourth places respectively on points difference. The A team have just begun their season in the Yorkshire League lost out to Moldgreen 0-48. This weekend there are no fixtures on Saturday because of the Magic Weekend. Congratulations to our Under 14s who have reached the final of the Yorkshire Under 14s Challenge Cup with a 12-6 win over Castleford Panthers. In the other semi-final, West Hul U14s beat Stanningley A U14s 38-10. (Details of the Final to be provided). 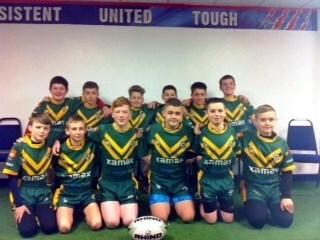 In the other semi final match, the Under 15s were beaten by the Hunslet Warrriors U15s 24-6. With no fixture for the 1st team it was Stanley Rangers A team who played at the weekend and recorded their first win in Group 2 of the Yorkshire Men's League over Bradford Dudley Hill 24-22. This coming weekend - 10th May - Stanley are at home to top-of-the-table Kells, kick off 2.30pm, and the A team are away at Moldgreen. This Sunday - 11th May - the Under 14s will be at home playing against Castleford Panthers U14s in the semi final of the YJ Under 14's Challenge Cup. The kick off is at 10.30am so please come along and give our lads lots of support in this important game. Meanwhile the Under 15s will be travelling to Hunslet to face Hunslet Warriors U15s in their semi final of the YJ Under 15s Challenge Cup, kick off 10.30am. We wish both our teams lots of luck in their games. Fun and fund raising comes to Stanley Rangers on Saturday May 10th when a Race Night has been organised at the clubhouse. The event starts at 7pm and the first race is at 7.30pm. All adults welcome. A third win on the run has moved Rangers into third place in Division Two, thanks to two tries and four goals from Danny Grice, along with tries from Shaun Abson, Liam Crawley, Riichard Cattley, Chris Grice and Joel Marsh. Owing to cup fixtures there is no fixture list for next weekend (3rd May) and the next game will be a home fixture against top-of-the-table Kells on May 10th. Super wins for our Under 14s, Under 15s and Under 16s who all saw cup action at the weekend. The Under 14s were away at West Bowling in the quarter final of the U14s Challenge Cup and came away 18-10 winners. They will now take on Hunslet Warrios in the semi final of the cup. The Under 15s beat a strong West Hull U15s side 26-4 in the quarter final of the U15s Challenge Cup. They will now face Hunslet Warriors in the semi fiinal. 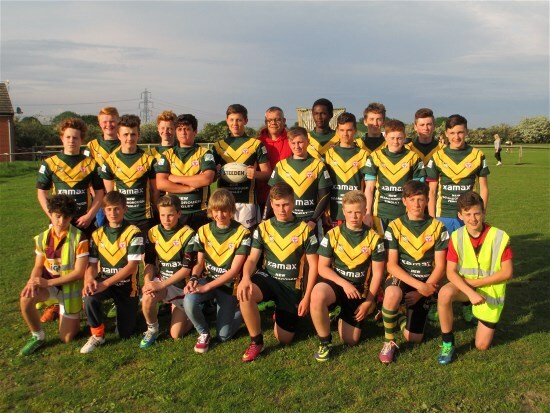 The Under 16s were also in action in the semi finals of the BARLA XAMAX Under 16 National Cup. In a high-scoring game they beat East Leeds 50 - 18. In the other semi final, Skirlaugh Bulls beat Blackbrook Royals 14-10. The final between Stanley Rangers U16s and Skirlaugh Bulls U16s will be played on Saturday May 24th. All our teams have done really well and we wish them all lots of luck in their next matches. It's a busy weekend for all our junior teams as the junior Challenge Cups begin and our Under 16s are taking on East Leeds in the BARLA XAMAX National Youth Cup Under 16s, Semi Final on Sunday 27th April.. In the other semi final Blackbrook will play the winner of the fixture between Skirlaugh Bulls v Sheffield Hillsbrough Hawks. In the opening rounds of the Challenge Cup, the Under 15s are at home to West Hull; the Under 14s are away at West Bowling an the Under 13s are at home to Siddal. The games will take place on Saturday and Sunday 26th and 27th April. Good luck to all our boys! Well done to our Under 13s who beat Normanton Knights U13s at the Wakefield Cup Final last night at the Rapid Solutions Stadium in a closely-fought game, 14-12. 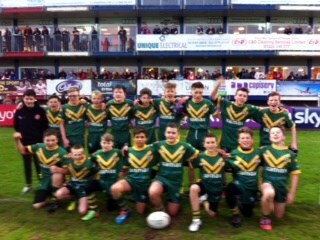 In the Under 12s Final, Normanton Knights U12s beat Stanley Rangers Under 12s 20-4. The Presidents Cup was won by Upton who beat Crigglestone-Kettlethorpe 24-4. We are very proud of both our teams for reaching the final of this cup and send congratulations to the Under 13s. A strong second half performance built on a 12-16 half time lead for Stanley and resulted in a 26-12 win for Rangers over their Cumbrian hosts. Rangers points came from a hat-trick from James Senkiw and tries for John Nunns and Danny Grice who also kicked 3 goals. This win, following on from last weekend's win over Stanningley, keep Rangers in fifth place in Division Two. This weekend - 26 April - Stanley are at home to Leigh East. This week sees the Finals of both the junior Wakefield Cup and the Wakefield ARL President's Cup Final at Wakefield Trinity Wildcats stadium (Belle Vue) on Wednesday 23rd April. Stanley Rangers are very pleased to have two of our junior teams in the finals. The Under 12s will take on Normanton Under 12s and this will kick off at 5.30pm. Then our Under 13s will play their final against Normanton Under 13s at 6.30pm. Following these two games, The President's Cup Final will be between Crigglestone All Blacks and Upton and this match will kick off at 7.30pm. Both the Under 12s and Under 13s have done very well to reach the finals and we wish them lots of luck on Wednesday night. Stanley Rangers travelled to Stanningley and in a hard-fought game came away 38-30 winners. Tries came from Danny Grice( 2), Sean Abson, Oliver Tobin, David Findlay, Charlie Ellis and Joel. Marsh with 5 goals kicked by Danny Grice. This Saturday - the 19th April - the first team travel to Cumbria to take on Askam ARLFC. Stanley Rangers Under 9s took place in the pre-match curtain raiser along with Stanningley and Castleford Panthers at the Wakefield Trinity Wildcats v Castleford Panthers derby match today, Good Friday. They stayed for the match and took part in the traditional half time parade around the pitch for the crowd to show their appreciation. Emma King, Stanley Rangers coach for the Under 7s and Under 8s, is now starting to run an Under 6s training session. It will be on a Saturday at 10am at the Lime Pit Lane field. The Under 7s will now train at 10.30am on Saturday mornings. This is a great opportunity for youngsters to have their first taste of playing rugby league with a trained coach. For more information, you can email the club at stanleyrangers@aol.com. Stanley Rangers entertained close rivals Oldham St Anne's but it was the visitors who came away with the two points winning 36-22. Rangers points came from tries by Joel Marsh, Daniel Sampson, Richard Cattley and Chris Grice, with Danny Grice kicking three goals. Next weekend, 5th April, Rangers again have a home fixture against Elland, kick off at 2.30pm. Congratulations to the Under 16s who have got through to the semi finals of the BARLA Xamax National Cup, beating Oulton Raiders 30-16. Rangers experienced their first loss of the season when they came away from Pilkington Recs 8-22 in round four of Division Two. Rangers points came from two unconverted tries by Danny Grice. This coming weekend - 29th March - sees a top-of-the-table tussle at home when Oldham St Annes come to Lee Moor. The 4th Round games of the BARLA Xamax Under 16 National Youth Cup which should have taken place on Sunday 23rd March will now take place seven days later on Sunday 30th March as a result of Scholarship games having taken place over the weekend. Stanley Rangers built on their cracking start to the new season by beating Bradford Dudley Hill 28-16 at home and moving to the top of Division Two, clear of Kells and Bradford Dudley Hill. At half time the score was 24-10 and although Bradford reduced the deficit in the second half it was James Senkiw's touchdown on 63 minutes that confirmed the win. This coming weekend the 1st team are away at Pilkington Recs. Stanley Rangers continued their solid start to the new season with an emphatic 44-4 win over Waterhead. Jackie Hogan, John Nunns and Liam Crawley all crossed twice for Stanley, whilst Daniel Grice – along with six goals – and Paul Hughes also touched down. The home side’s only bright spot arrived in the 37th minute when winger Thomas McMullen went over, but by that time his side were 34-4 down. Rangers began their new season in Division Two with a great win in a high-scoring game against Castleford Panthers 42-36. Try scorers were Joel Marsh (2), Danny Grice, Liam Crawley, Gareth Rawlinson, John Nunns (2) and Charles Ellis. Danny Grice kicked 5 goals. This coming weekend the 1st team travel over the Pennines to Waterhead. Last Sunday the Under 13s boys were lucky enough to be picked as the only team from the Wakefield District area to take part in a professional coaching session in front of 55 coaches & youth development officers. This was part of the RFL Embed the pathway programme with the aim of improving the coaching skills of junior coaches through close working with the professionals. Dave Rotherham, the head of coach development for the RFL, and Ryan Hudson, youth development for the Wildcats, facilitated the session and both were impressed by our boys attitude and behaviour throughout the day. Team coach Iain Bowie is looking forward to working closely with the RFL to ensure he passes on those skills to the team. Well done to the team! The Stanley Rangers open age team are looking for player sponsors which will assist with the running of the season and also give you the opportunity to advertise your organisation to a variety of different groups of people. There are three different packages ranging from £60, £100 to £150 which give the sponsor advertising in the match day programmes; Man of the Match sponsorship and more benefits depending on the level of package chosen. This is a great chance to support our players and the club and give you all the benefits that sponsorship can bring. For more information please contact either Jacky Hogan (email john_hogan1@sky.com) or Paul Hughes or email the club website at stanleyrangers@aol.com. KIT MAN NEEDED - ARE YOU THE MAN FOR THE JOB? Stanley Rangers currently have an immediate vacancy for a kitman for the 2014 Season. This will be a voluntary position to start with, but will lead to benefits. Duties include distribution of kit, setting up of warm up and down drills and being a key contact for coaches and players. This is an integral part of the Stanley Rangers set up. Please apply immediately by emailing stanleyrangers@aol.com and all enquiries will be forwarded to the Open Age administration. After all the training and waiting, the new Kingstone Press National Conferece League 2014 season gets underway this weekend. This is the third campaign since the NCL switched to summer rugby in 2012. The first team will be at home on Saturday 1st March against Castleford Panthers in their first match in Division Two. Kick off is at 2.30pm so come along and give the lads your support! On March 1st the junior season starts up and all our teams will be in action. On Saturday 1st March, the Under 13s are away at East Leeds in Division One of the Under 13s; the Under 12s kick off their new season in Division Five of the Under 12s with a home fixture against local neighbours Eastmoor Dragons; the Under 11s who are in Group 1 of the Under 11s will be travelling away to Heworth and our Under 10s in Group 1 of the Under 10s are at home to Milford Marlins. On Sunday 2nd March, the Under 16s continue their progress through the Xamax BARLA National Cup with a Round 3 match away at Seaton Rangers - we wish them lots of luck in their cup game. At home the new Under 17s will be hosting their game in the Premier Division of the Heinz BIG Yorkshire Juniors U17s against Stanningley; the Under 15s travel to Birstall Victoria for their Division Two match; the Under 14s will be at home against Featherstone Lions in their first Division Two game; the Under 9s kick off their Group 1 season away at Drighlington and the Under 8s will have their first Group 1 match at home to Drighlington. Finally, our two youngest teams will also be playing on Sunday. The Under 7s will play Featherstone kicking off at 10.30 and the Under 8s will take on Drighlington at 11.30am. Both matches will take place at the Ferry Lane pitch. 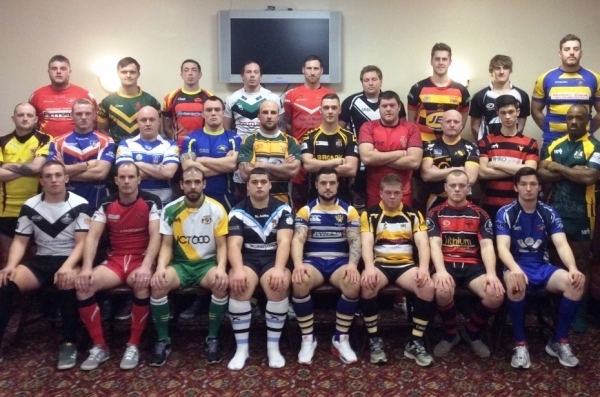 Five new teams are set to take part in the Yorkshire Men’s League in 2014. Siddal, Drighlington, Airedale Cougars, Huddersfield YMCA and Castleford Panthers have all signed up to take part in the coming season and their inclusion means the league will boast 40 teams. The league action is set to kick-off on Saturday April 5 and will culminate in a Grand Final double-header for the Premier Division and Group 1 which is planned to be staged at the Mend-a-hose Jungle, home of First Utility Super League side Castleford Tigers. A pre-season cup competition is also set to be run with the first round of games scheduled for Saturday March 8. Stanley Rangers' Chris Higgs was on call to represent the club in the photo of the clubs in the league.. It's only two weeks now to the beginning of the new National Conference League season and the Open Age team will be having a pre-season friendly at Bradford Dudley Hill next Friday evening - 21st February - , kick off time 7.30pm.The first fixture will be on 1st March at home against Castleford Panthers. Fixtures will of course depend on the pitch and weather conditions. Our Under 14s and Under 16s have been playing in the BARLA National Cup and have just completed their second round matches. The Under 14s were just beaten in the last minutes of their game against Chorley Panthers, losing 20-22. A report of the game can be found on their team page. The Under 16s had a good win over Normanton Knights Under 16s 50-0. They wiil face Seaton Rangers away in the third round. The games to be played on Sunday 2nd March. Meanwhile the Under 13s team have been having a great run in the Wakefield Cup and have not been beaten in their four games. They have two further fixtures this month. There's still time to get the important people in your life a Valentine's Day gift with some of the great offers in the e-Store. There are offers on flowers, chocolate and beauty products, so why not take a look at the page and just remember to click through the links to raise funds for Stanley Rangers. The National Conference League have drawn the preliminary and first round of the Challenge Trophy with all the teams hoping to reach the Championship Finals on Sunday 5th October. Stanley Rangers are in the first round and this will take place on the 31st May and will be away at Normanton Knights. The 2014 season gets underway on Saturday 1st March and Stanley are at home to Castleford Panthers. Come along and support our team at the start of the season in Division Two. The draw for the 2nd Round of the BARLA Xamax Under 16 National Youth Cup took place at Thatto Heath Crusaders ARLFC following the Thatto Heath Crusaders v Featherstone Lions cup game. The draw was conducted by former St Helens, Warrington Wolves, Great Britain & Wales Lee Briers and Steve Manning the BARLA Vice Chair. Stanley Rangers Under 16s are at home to Normanton Knights U16s. The game will take place on Sunday 9th February. The draw for the 2nd Round of the BARLA Xamax Under 14 National Youth Cup took place at Waterhead ARLFC following the Waterhead v Spring View cup tie. The draw was conducted by Phil Bradbury the BARLA Open Age Chair, Anita Halliwell Oldham ARL, players of Wigan Spring View and Waterhead. After a good win against Burton Wood Bulldogs 34-20, Stanley Rangers U14s will be at home to Chorley Panthers. Ex-Stanley Rangers player Peter Ashton has sent in two excellent photos from his collection for our interest. An all-action match picture of Stanley Rangers v Brookhouse in a cup game in 1973 and a team photo taken at the old Rooks Nest Road playing field in the early 1980s. Hair styles and rugby strips may change but the energy and enthusiasm of the players are still the same now as before. The Under 16s will be playing at home on Sunday 5th January against Dewsbury Moor U16s in the Yorkshire Youth League, Premier Division. Kick off is at 11.30am so why not come along and blow the cobwebs away and support out lads. On the 19th January the Under 16s are away at Myton and on the 26th January the team are at home to Castleford Panthers.